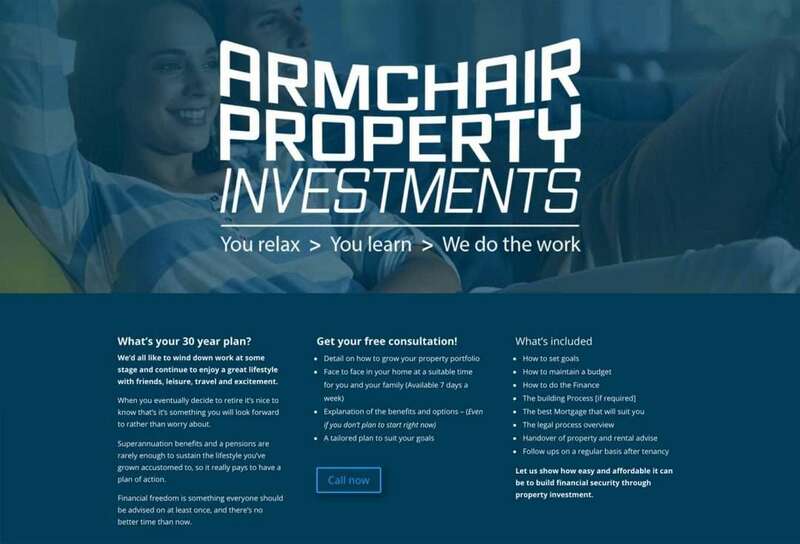 A new start up investment advisor – Armchair Property Investments. This guys is experienced but new to the Sunshine Coast. He advises people how to get started investment. The target audience is 30 something with some disposable income. People interested in securing their future financial freedom. His payment is through affiliated builders in the major cities. This job involved logo design, advertising advise and web design. It was a fast turnaround and cost the client just over $1200.